First disclaimer: I don’t read books I don’t like. Life is too short… you know, the ‘so many books, so little time’ thing. There really are so many things to do, books to read, gardens to weed, and then there’s all that time wasted, sleeping. So, if I read a chapter or two, and I just can’t get into it, I put the book down. Even if it is a gift from my best friend; I do not like to waste my reading time. A lovely, disconcerting book that does for Moscow what I hope my own Neverwhere may have done to London… the prose and the atmosphere is beautiful and decaying, and everything’s grey with astonishing little bursts of unforgettable colour… deep dark, remarkable stuff. Every city contains secret places. Moscow in the tumultuous 1990’s is no different, its citizens seeking safety in a world below the streets – a dark, cavernous world of magic, weeping trees, and albino jackdaws, where exiled pagan deities and fairytale creatures whisper strange tales to those who would listen. Galina is a young woman caught, like her contemporaries, in the seeming lawlessness of the new Russia. In the midst of this chaos, her sister Maria turns into a jackdaw and flies away – prompting Galina to join Yakov, a policeman investigating a rash of recent disappearances. 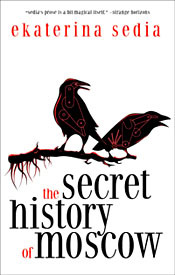 Their search will take them to the underground realm of hidden truths and archetypes, to find themselves between reality and myth, past and present, honor and betrayal…in the secret history of Moscow. Second disclaimer: I don’t like to say bad things about books I … don’t care for. I appreciate how very difficult it is to write a book. What a challenge it is to find an agent. How hard the agent has to work to sell a book to a publisher. I don’t think bad books get published. Who am I to malign something that people have been so dedicated to, that people have spent so much time working on? So if I can’t say wonderful things about a book, I just don’t say anything at all. I felt I had to stick with this book. It was on my Once Upon a Time Challenge II list, for one thing. I really wanted to like it, for another. 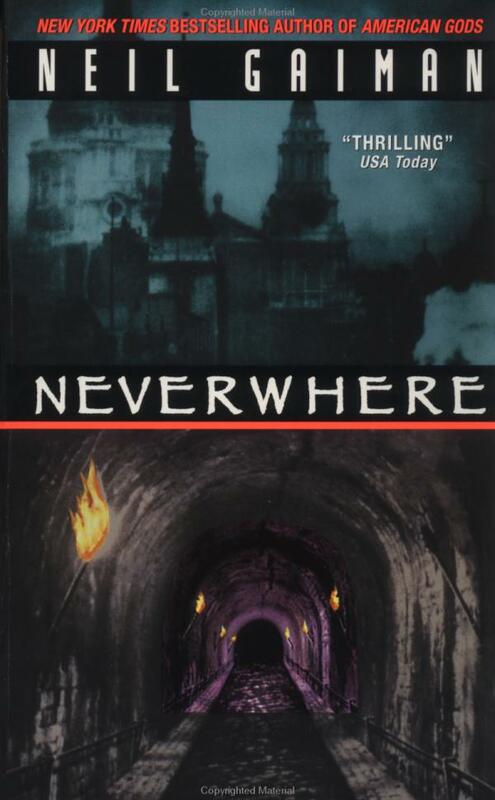 I loved Neverwhere, I really like urban fantasy. Unfortunately, this story just didn’t work for me. One big problem was I could not become fond of any of the characters. One of the gods in the underworld was a cow! Cows, in my opinion, are just not revere-able. When this cow was milked, it splat out stars. I just couldn’t see it. I didn’t have much empathy for the main character, Galina, or any of her side kicks, either. There was so much Russian history, I was completely clueless. I had to skim over lots of the historical stuff. Another problem for me was I could see Moscow, but I just could not picture the world below the city. There was a lot going on: Russian mafia, fairy tales, gypsies, politics, capitalist Russia, mental institution/prisons, and on and on. It was smatterings of so much different stuff, I became impatient and could read only little bits at a time. Sedia’s writing is beautiful, but I simply didn’t like the story very much. Sorry. If you are interested, Sedia has a website you can visit. I am still very interested in giving this one a shot. I am first in line to get it whenever the library gets a copy. It is on their ‘to buy’ list. I figured I didn’t need to spend money on it since I have so many other books to read. That is just the way of things, sometimes books just don’t connect with us. The beauty of it is that there are so many books that do and we can just move on to the next one. Well, not all that much time gone, anyway. And Sedia is a beautiful writer – maybe her next book will hook me. I certainly would give it a try. I’m sorry that this one didn’t work for you. “One big problem was I could not become fond of any of the characters.” I have to admit that I had this problem as well, even though I did enjoy the book overall. I didn’t much care about the characters, but there was enough going on in other areas to keep me happy. After reading a few pages in a bookstore and encountering the word “cripple”, I put the book down. 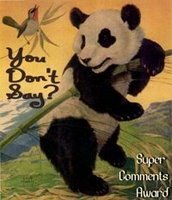 Well Nymeth, that just reiterates my point that bad books don’t get published, there are just different opinions! Thanks for checking back with me. I can understand your distaste, Vincent Levine. I do not remember the context of the word, but apparently you did not find the author sensitive to the power of the word’s offensiveness. I am sorry I was not more sensitive to it. It will not, in future, stop me from reading something I have decided to read, but I will most certainly be more aware of the word’s rudeness. Thank you. Well, TJ, I have to admit it wasn’t the Challenge that kept me going. I have dropped two books from my list because I thought they were “blech” (your word) by page three. I kept going with this one because I thought I should like it, and I was ….. thickheaded for being irritated by the Russian history aspect. Then I remembered I got an F (yes, an F) in Russian history my third year of college. I loved Dostoevsky (I guess his angst meshed well with mine) but just couldn’t wrap my brain around all of the politics. Oh well. I guess once a dolt, always a dolt. I don’t know about the ‘dolt’ thing but I certainly agree that I have come across books that I really think that I ‘should’ like but just don’t click with me. I think that has as much to do with my mood at the time of reading them as with the book itself. If I put a book down I generally hope that at some point I’ll come back to it and it will click with me. I too don’t like giving up on books, but sometimes it has to be done. Time is too precious. I must admit – my shelves are littered with rejects …. for instance, as much as I tried (over half way through) – I just could not complete Arundhati Roy’s The God of Small Things …. and, (a collective gasp here) – I tried, REALLY TRIED, to read Tolstoy’s Anna Karenina .. but alas. I finally stuck it on a shelf. At least it makes me ‘appear’ to be well-read and erudite – haha. trying to keep up with all the characters, story lines and symbolism …. but I had a dear russian friend in our book club, and this was her favorite book. Most of the club members gave up – but I held in there. She and I had a lovely discourse on the work – and I learned so much more from her point of view. It was one of those ‘blech’ books – but turned into a rare gem. Not that I would go around and recommend it to everyone – this one calls for perseverance …and a native russian to help! Kudos to you for being honest enough to share your opinion. That is what makes human interactions so exciting: learning from one another. I know in such a short time, you have taught me much already. What a thoughtful post. I have not read the book, so I can’t comment on it, but I can say how great I think it is that you write about the book so carefully. I think that is sadly missing in today’s book world. People are very quick to blast their opinions around and make sweeping statements about whether a book is trash or treasure, when theirs is really just their own opinion. So yey, you! And very kind of you to share the website. Thank you! Thanks, Lady Blue, for your support and encouragement! I think I just don’t have the patience anymore for Russian novels. Maybe in another life… I haven’t read Anna Karenina either – shhhh – don’t tell anyone. Becky, I appreciate your agreement with me – it certainly is all just opinion. One man’s garbage etc etc etc. I hope someday, when I am published, everyone treats me with kid gloves!! You were nice enough to leave a comment on my blog so I popped over here to check out yours (You liked my review of Requiem For the Sun by Elizabeth Haydon…thanks! I don’t finish books I don’t like either. I give a book about 50 pages, give or take, but if it doesn’t catch my interest by then, it is gone. I have too many other books to read, too many other fun things to do with my limited free time. I read for pleasure; it shouldn’t be like swallowing nasty medicine. As you said, life is too short.